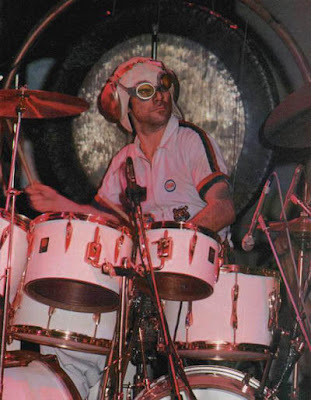 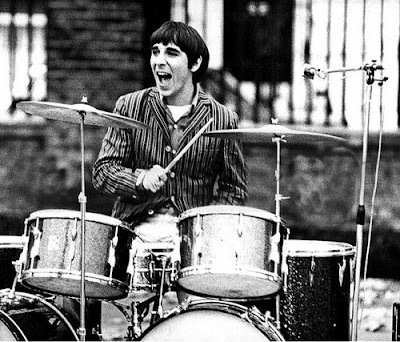 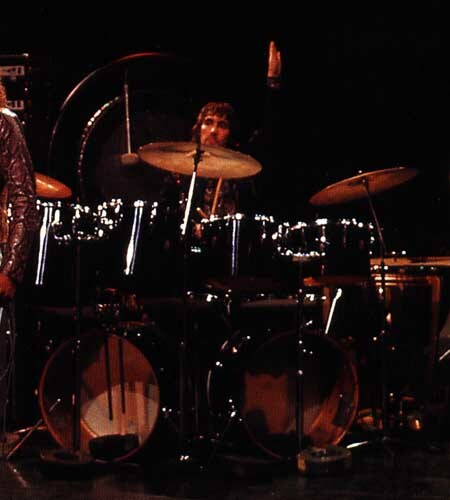 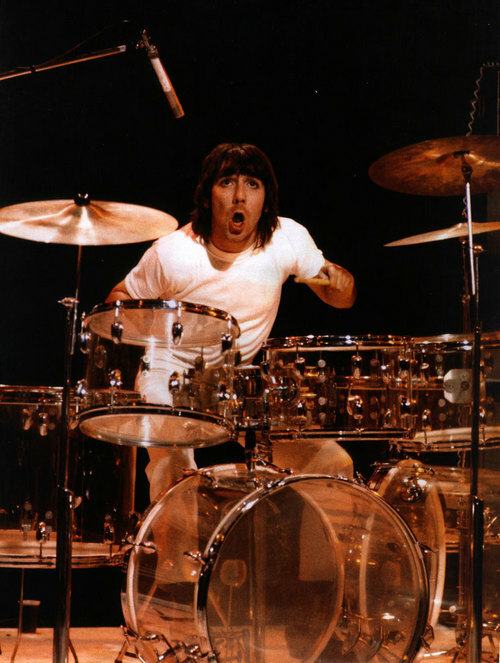 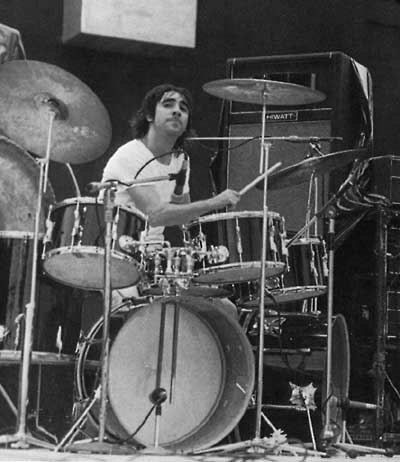 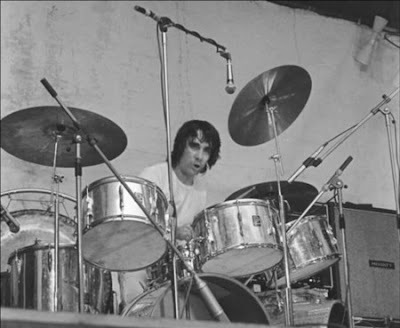 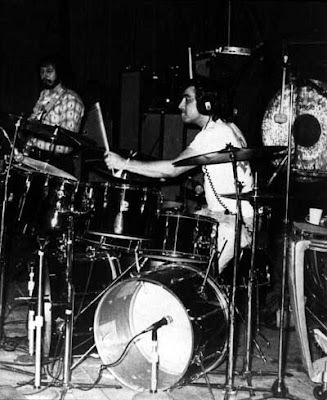 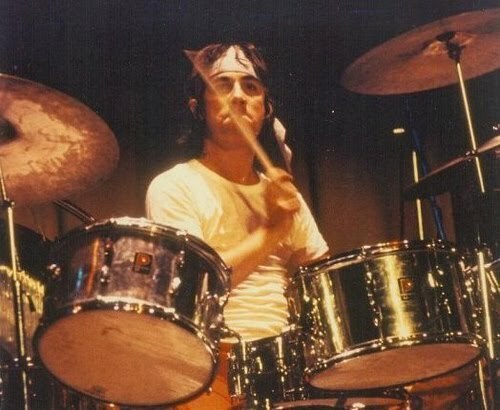 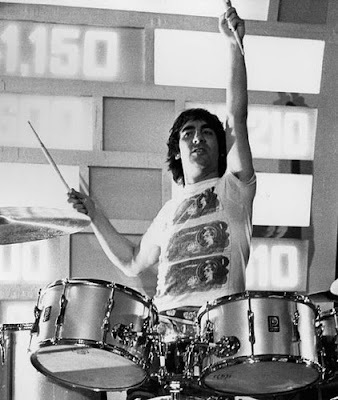 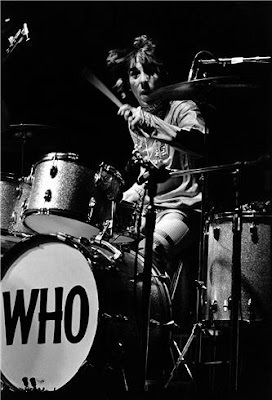 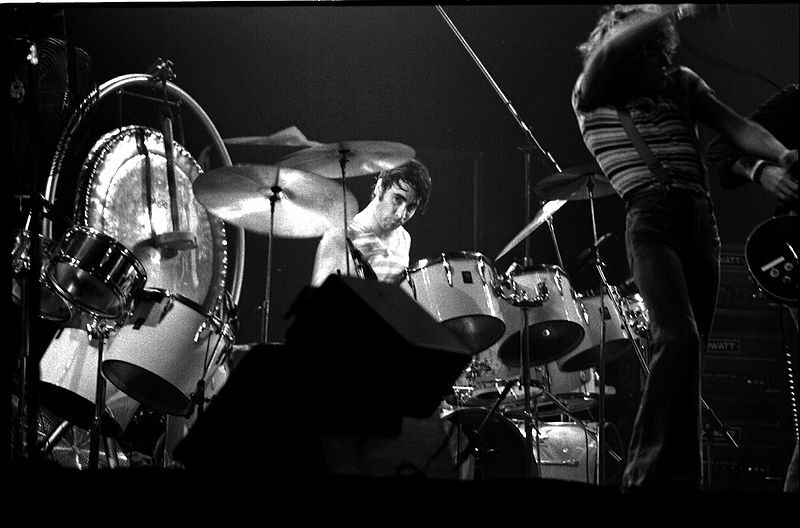 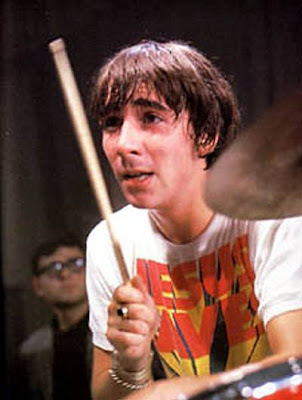 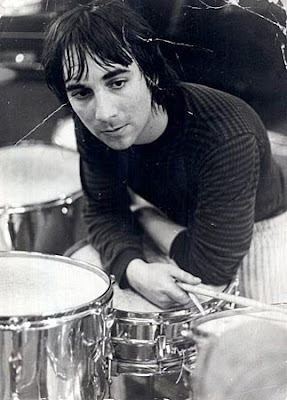 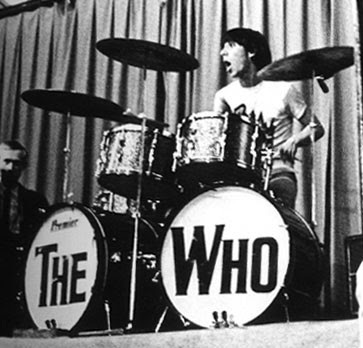 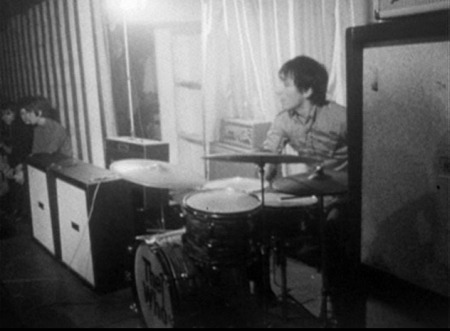 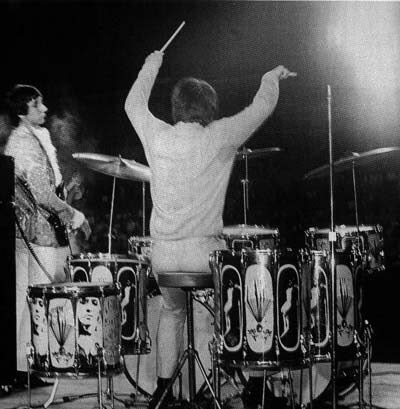 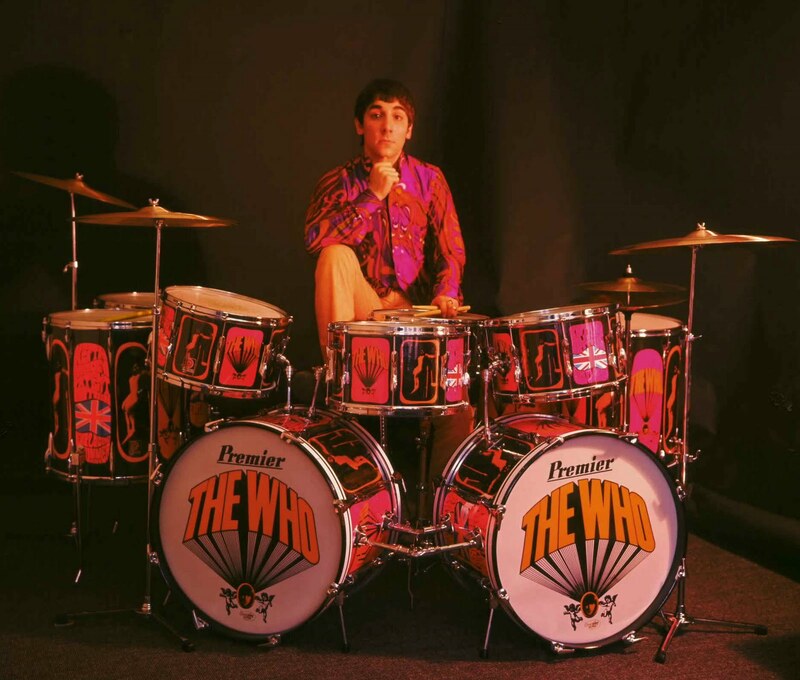 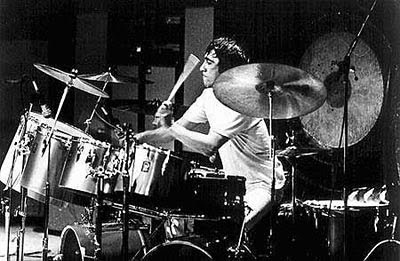 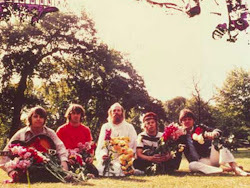 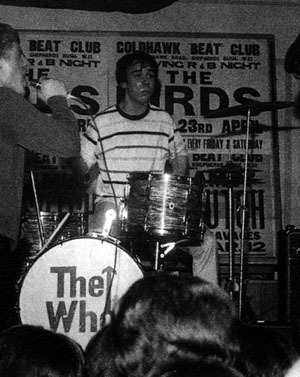 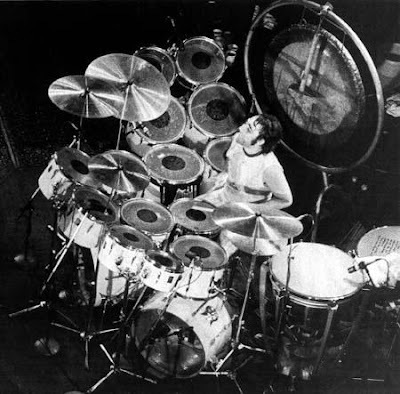 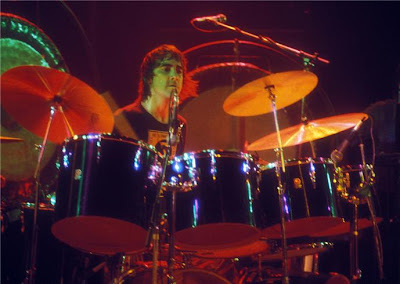 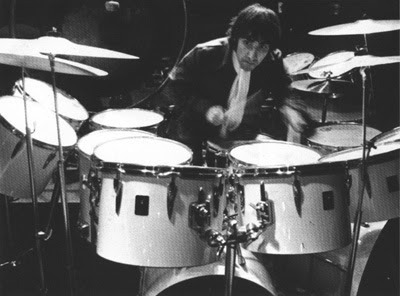 Keith Moon is ultimately the greatest drummer in rock & roll. 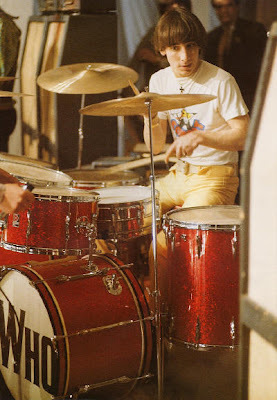 He put so much energy and focus into playing the drums. 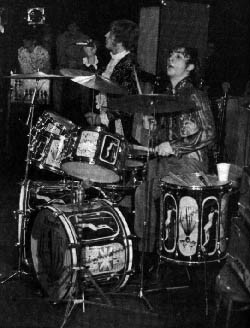 During live performances he'd toss his drum sticks in the air and catch them effortlessly and sometimes even knock his drum kit over. 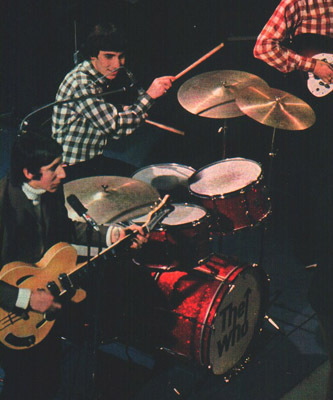 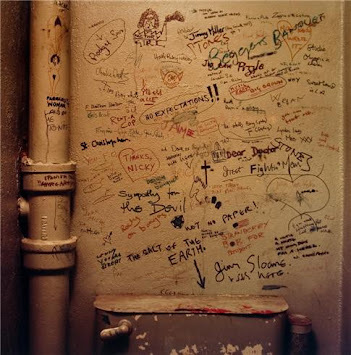 Once he put explosives in the bass drum of his kit when the Who performed on The Smothers Brothers Comedy Hour, in 1967. 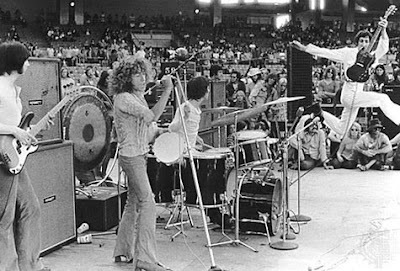 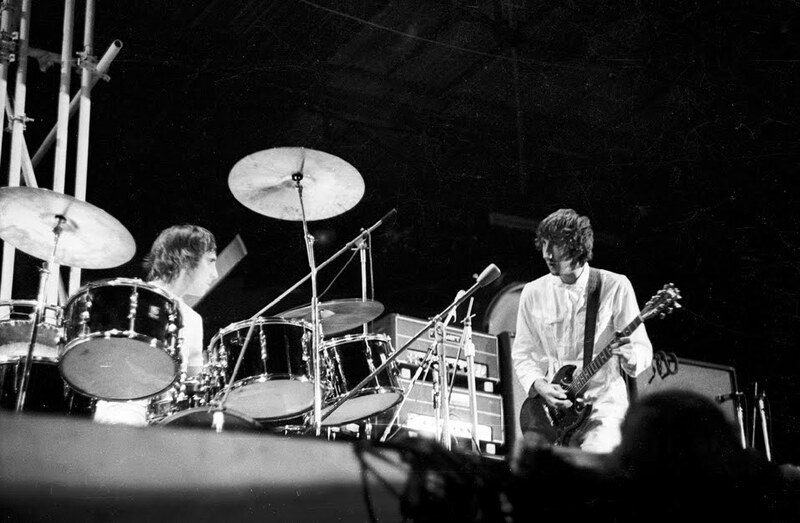 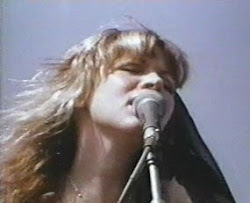 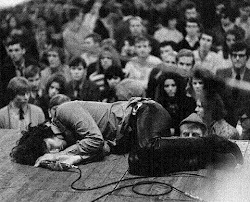 Keith always put on a show when he drummed. 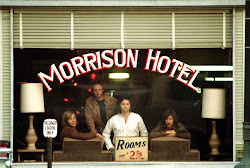 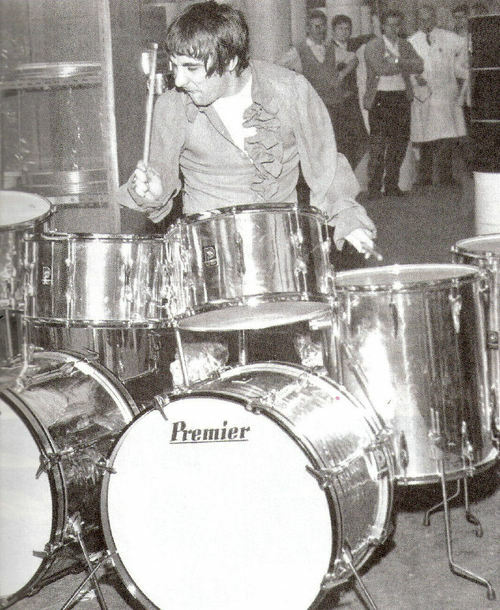 He had many different drum kits but his use of two bass drums was his trade mark. 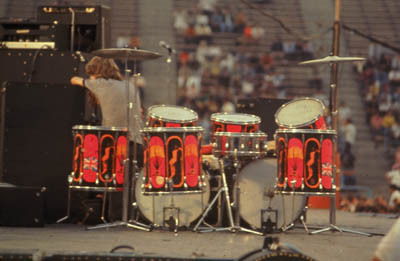 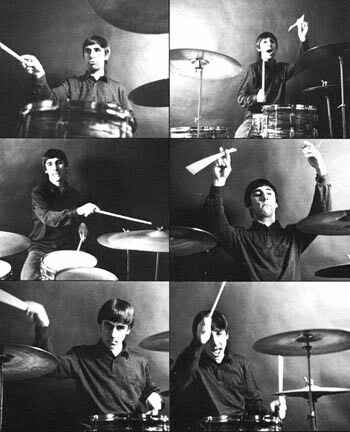 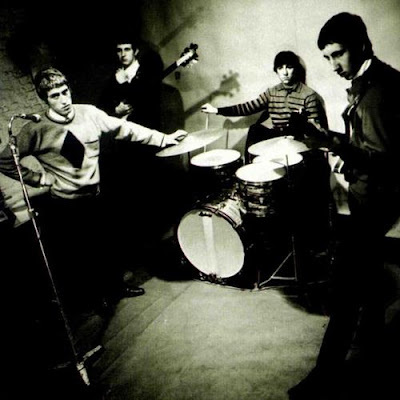 You didn't see too many drummers in the 60s have two bass drums. 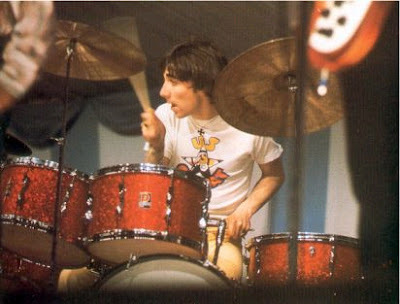 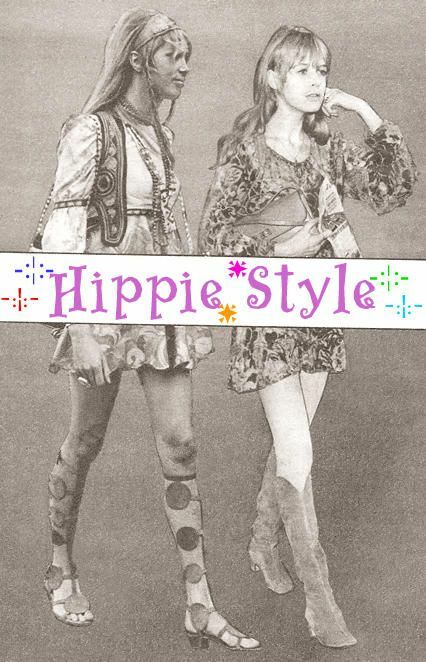 I have this same shirt!